The Stansport Cree LED 400 Lumens Lantern is the must-have, do-it-all workhorse! The only light you'll need for your campsite. Light up your cooking/eating space, then unscrew the globe and hang in your tent for the perfect tent light. With it's heavy duty contsruction and long run time, the Stansport Cree LED 400 is also a great choice for home and emergency kits. 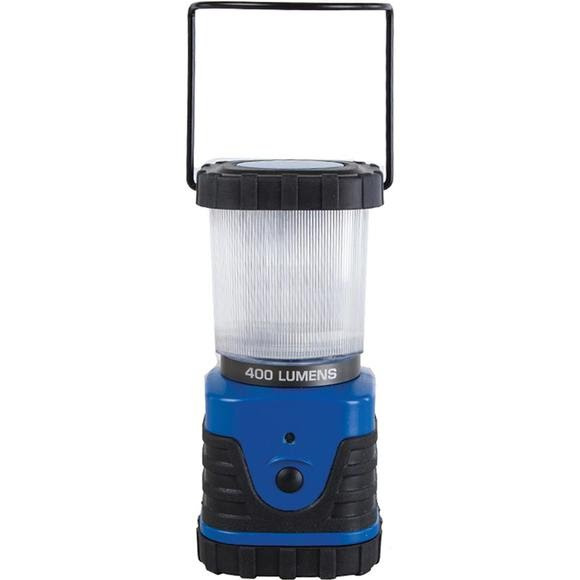 The Stansport Cree LED 400 Lumens Lantern is the must-have, do-it-all workhorse! The only light you&apos;ll need for your campsite. Light up your cooking/eating space, then unscrew the globe and hang in your tent for the perfect tent light. With it&apos;s heavy duty contsruction and long run time, the Stansport Cree LED 400 is also a great choice for home and emergency kits.